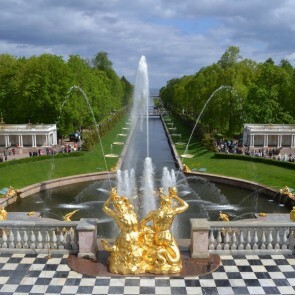 The Many Faced boundless Russia, attracts with its beauty and famous sights. The capital – Moscow, is a city of opportunities. Arriving here, start Your acquaintance with a tour of the Red Square and Kremlin. Be sure to highlight a day to visit the Tretyakov Gallery – where you will see over 55,000 works of art. Make sure to visit the St. Basil’s Cathedral, The Cathedral of Christ the Savior, The Mausoleum, The Gorky Park, The Alexander Garden, Moscow Zoo, and others. Going on a trip to Russia, do not forget to get a visa to Russia. Travel to Russia with BANITA TOUR!